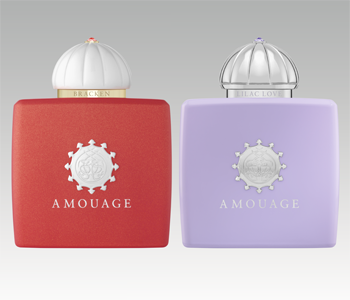 The Amouage Women fragrance collection is a beautiful blend of sumptuousness and artisanship. Each distinctive fragrance creates an entire olfactory experience that evokes the mystique and heritage of the Sultinate of Oman, the birthplace of Amouage. Every feminine aroma adopts the artistic approach of the brand's Creative Director Christopher Chong, who mixes the splendour of the East with the fragrance expertise of Grasse in the South of France. From the dreaminess of Honour and Reflection to the opulence of Epic and Lyric, the femininity of the Sultanate of Oman is expressed in a wealth of unforgettable and quality notes.